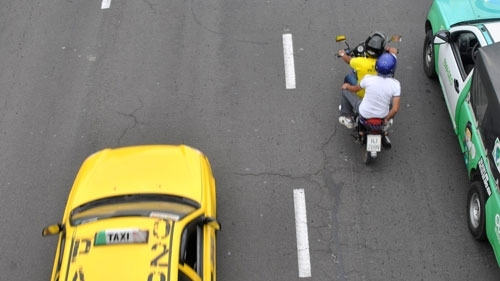 Mototaxis do have positive social and economic benefits, generating employment and income opportunities as well as additional mobility options. Nevertheless, there are no technical standards to ensure their safety, thus increasing risks for drivers and passengers particularly when these travel on high speed roadways. I remember seeing a moto-taxi (presumably returning home late from work) along a national highway in Peru at night, with no rear lights. We were all lucky to detect the ‘moving object’ in time to avoid a collision; a large truck may just not have the adequate stopping distance. Despite reliable data, the trends thus far do mirror the experience in Spain where motorcycle victims increased despite focused attention on safety with multi-sectoral interventions. That led to specific targeted actions to reverse the trend. Based on the Spanish experience we propose key actions (mainly focused on the institutional and regulatory aspects) to be replicated in countries such as Ecuador, and others in the region. These may also prove useful in similar contexts around the world. 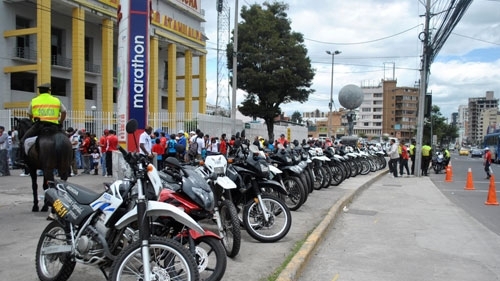 In some countries such as Colombia motorcycle victims are already the largest group affected by road crashes. Some countries have developed elaborate traffic laws, for example mandating the use of helmets, without the required regulatory framework in place to ensure appropriate quality and technical standards of helmets. A well designed helmet, meeting internationally accepted technical standards, could reduce the risk of death by 40% and the risk of serious injury by 70% in case of a crash. Unfortunately, sub-standard helmets are sold and used under the pretext of ‘complying’ with a law while defeating the purpose of injury protection. Similarly, there remains much work to ensure the appropriate driver education and testing prior to issuing a license. The process to obtain a motorcycle license could also benefit from improved regulation and enforcement, as well as the regulation of the vehicle standards themselves. In addition to building the institutional capacity effecting behavioral change remains a challenge, one that happily many actors have embraced, especially in the UN Decade of Action for Road Safety.